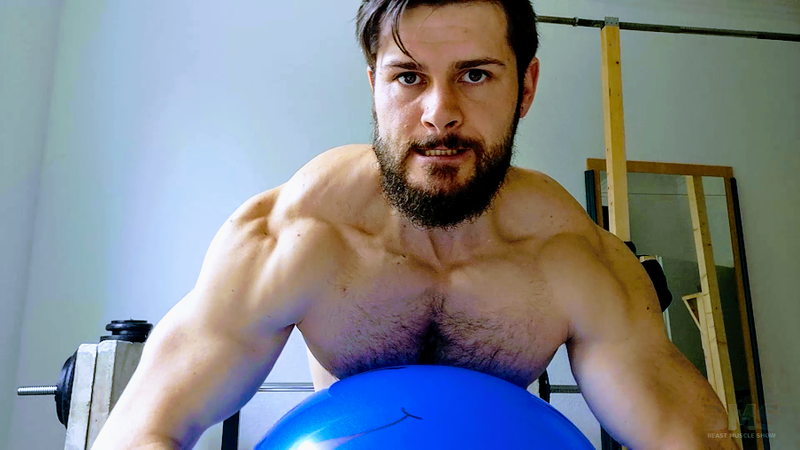 The Muscle Beast is back with an AMAZING balloon video! NOBODY combines muscle, balloons & POWER like he does! His muscles are extremely ripped in this video! You can see how shredded as he blows up the balloon and his abs align into perfectly chiseled blocks of muscle! 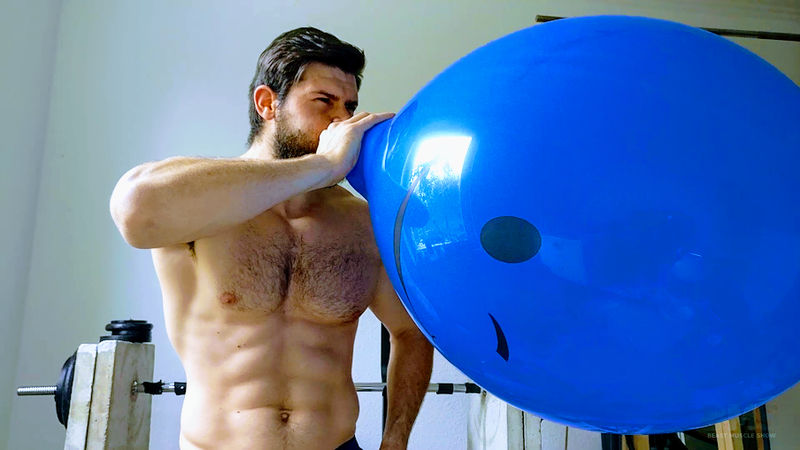 Just when he blows up the balloon to an immense size, he lets the air out and does it all over again until the balloon simply cannot take anymore! 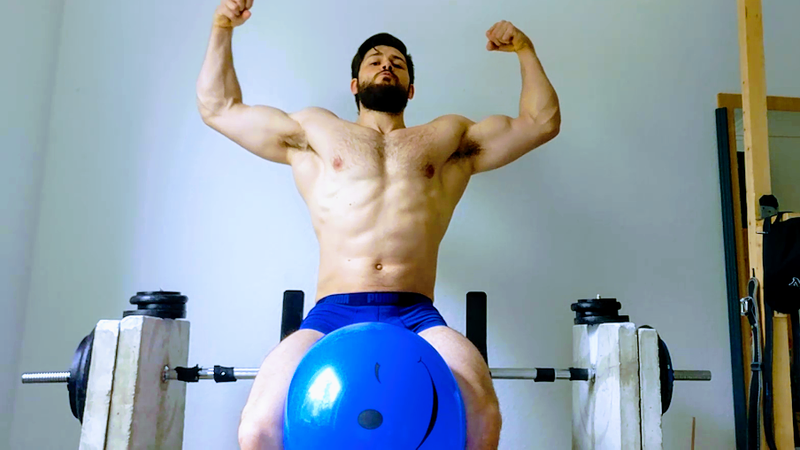 All of this balloon action with INCREDIBLE muscle flexing! 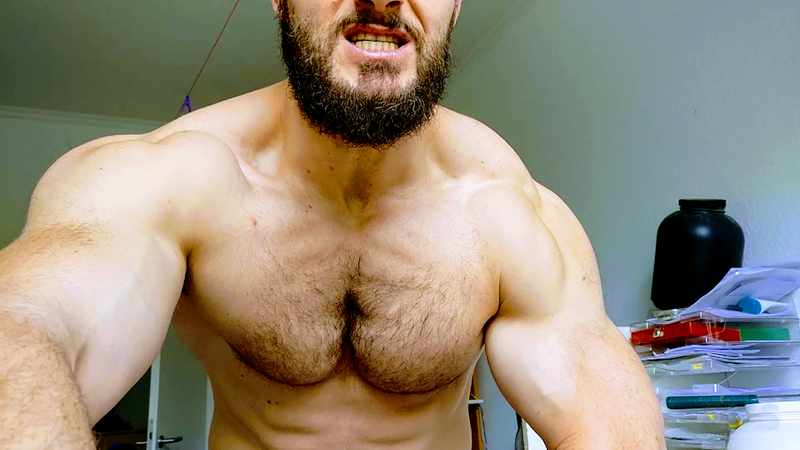 This video is a must see for all muscle lovers! Full video is almost 30 minutes long and in HD!